Vaughan Oliver is a British graphic designer and art director who is most noted for his work under the studio name V23. Design team V23, Vaughan Oliver with partner Chris Bigg, created the artwork for the British independent music label 4AD contributing to establishing a unique identity for bands such as Cocteau Twins, Dead Can Dance, This Mortal Coil, The Pixies, David Sylvian and many others. 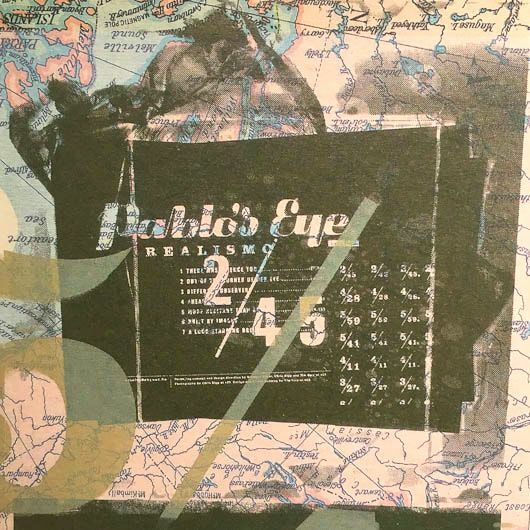 In 1999 Vaughan Oliver's design team V23 (Chris Bigg & Tim Vary) designed the cover for the cd 'Realismo' a collaboration between Pablo's Eye in a joint contribution towards a new 'internationalism'. 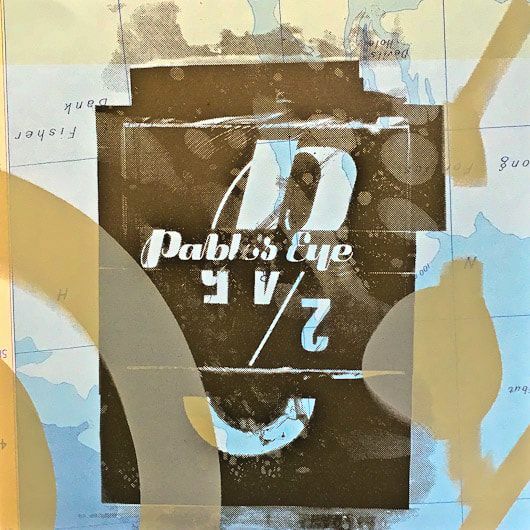 V23 designed 9 different covers for each letter of Pablo's Eye's name then screenprinted these onto pages of 1950s atlases. As a result each copy of this mini album was unique. You can see more of V23 works here.